Welcome to our Birch Gold review page. Birch Gold offers standard precious metals investing services (both coins and bullion), as well as a precious metals IRA program. Birch Gold’s purpose is to “help clients protect their financial lifestyle from current and coming economic instabilities”. The company produces an online video series where they interview financial experts to help educate investors on precious metals investing. Birch Gold states they are the “The Precious Metals IRA Specialists”. Although they sell physical gold, silver, platinum and palladium for physical possession, their main focus is opening new gold IRA accounts and 401k/Roth rollovers. Solid Reputation: Since 2003, Birch Gold has maitained a solid reputation in the gold dealers market. Investor Resources: The company offers free market updates, gold investing kit and exclusive interviews with financial experts. Birch Gold has 0 Complaints reported to the Better Business Bureau (BBB). This is a very good record reflecting a high level of customer satisfaction. Birch Gold has acheived one of our highest ratings for gold IRA companies. 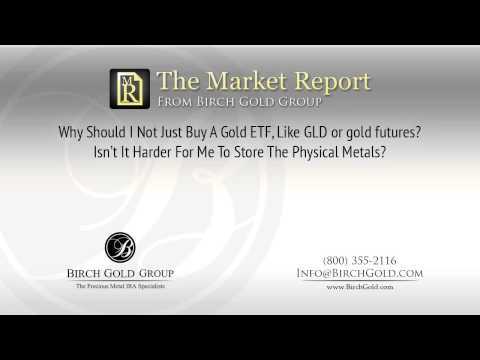 Birch Gold has a few marketing videos which they call “The Market Report” which includes interviews with experts regarding gold and silver investing. They also offer a free gold IRA investors kit on their website. Our research concludes that Birch Gold Group maintains an excellent reputation in the precious metals investing business. Although Birch Gold has a great track record with customers, we would prefer that their gold IRA service fees were displayed publicly on their website.